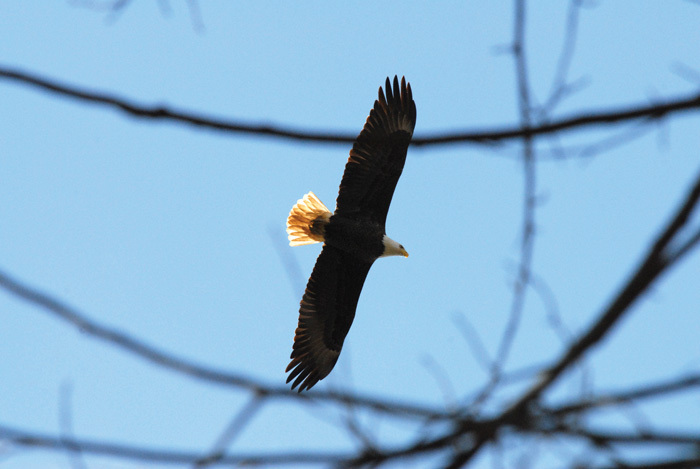 SPENCER — Just as the sun was rising Tuesday morning, Misti Sporer and Max Gardner walked quietly into the woods toward their goal: a gigantic bald eagle nest just below the crown of a loblolly pine. All talking ceased once they were within about 100 feet. Gardner held back a short distance as Sporer, lead environmental scientist for Duke Energy, moved closer for a 60- to 90-minute observation period. Sporer made notes of the motion in the nest overhead and the clues of eagle activity she could find on the ground around her.